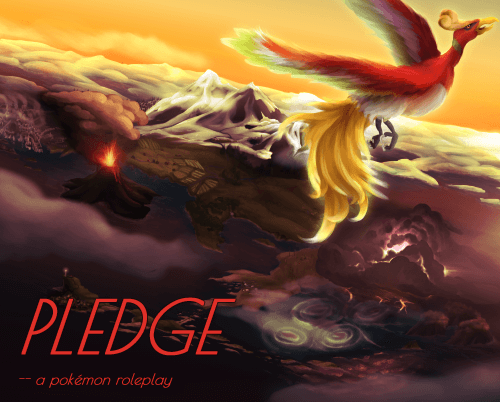 PLEDGE is a laid-back Pokémon trainer roleplay forum set in the Ho'ohiki Region: Where the environment is as extreme and diverse as its people. Running for over a year strong, our community is dependable and sure to keep you coming back! Including mechanics like the Link system from Pokémon Conquest and Delta Pokémon from the TCG, we offer a variety of experiences with character driven plotlines, world-changing events, and more! Our rating is 3-2-3 and we provide a safe environment for all genders, sexualities, and disabilities. Anything over a 2-1-2 rating is marked by a content warning, and all members are encouraged to let us know their boundaries! Come check us out today!